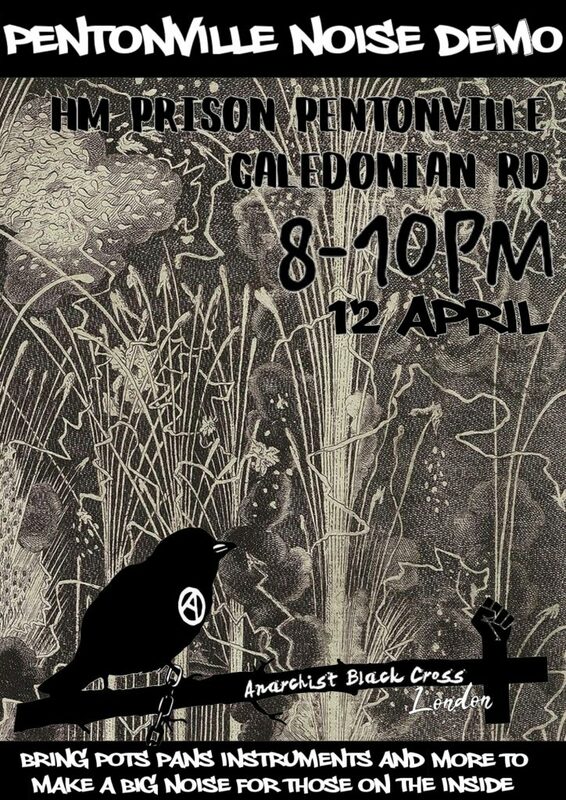 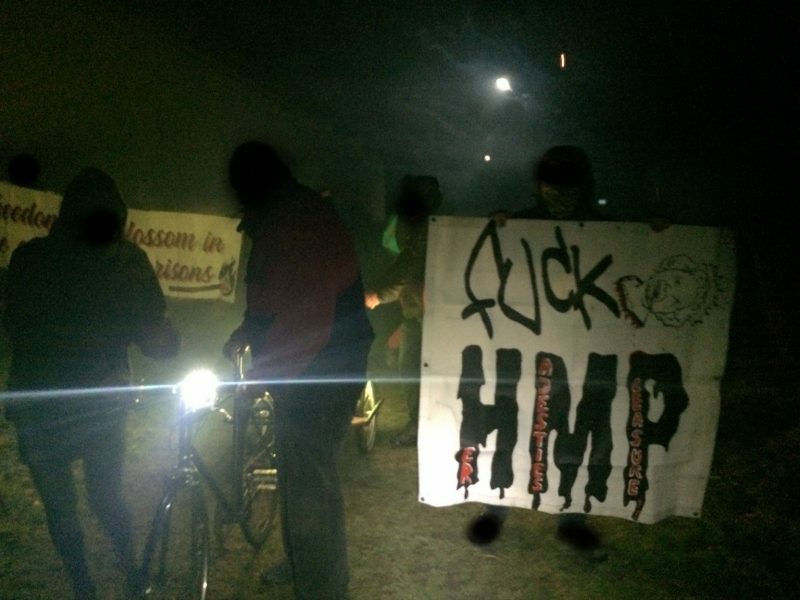 Posted in General	| Comments Off on 12 April 2019, 8-10pm: Noise Demonstration at HMP Pentonville ! 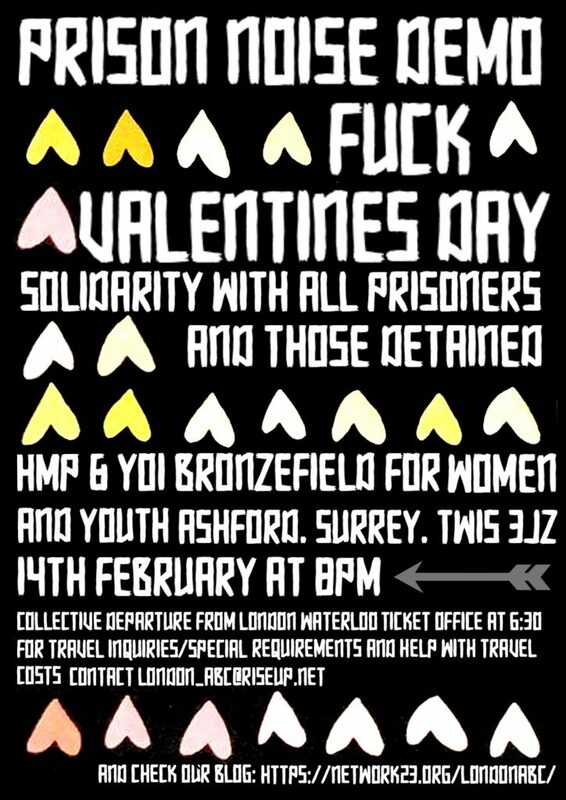 On Valentines Day, the 14th of February around 40-50 enraged individuals went to HMP Bronzefield for a noise demo. 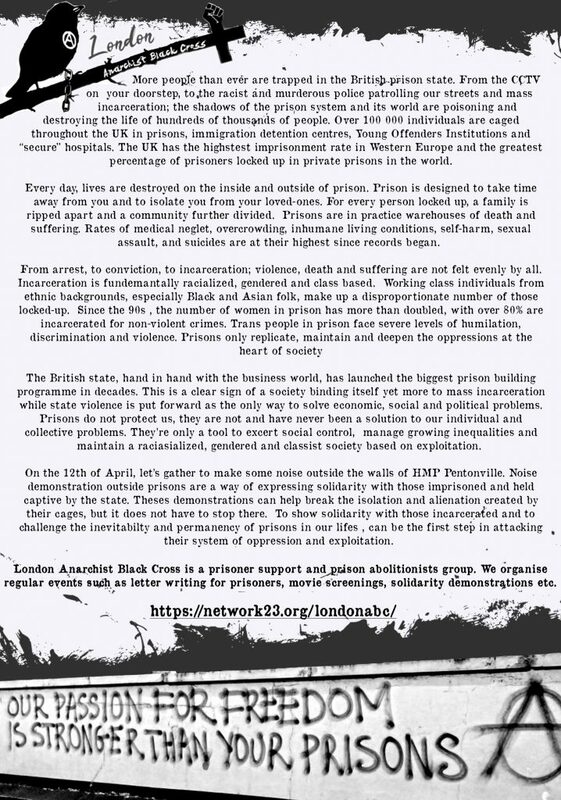 In solidarity with over 500 women and youth inside and all those incarcerated in an oppressive and discriminatory society. 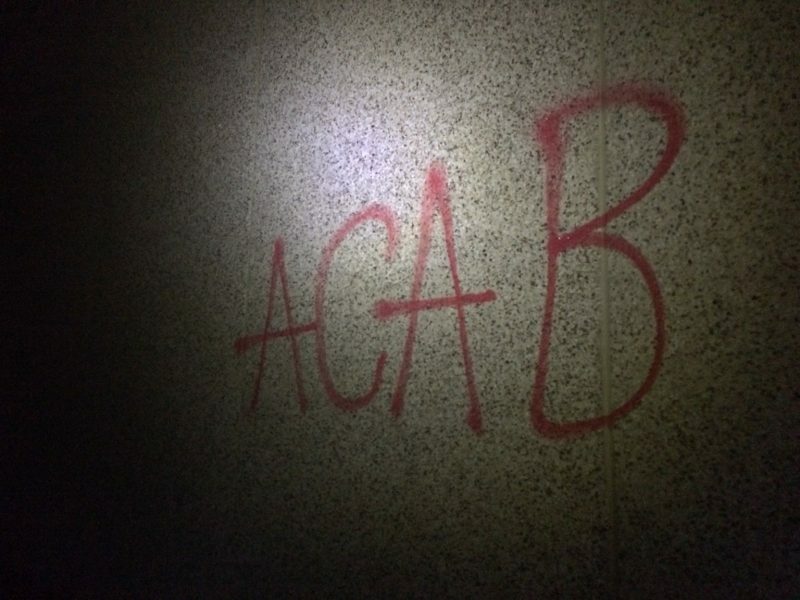 We have no love for the state and its corporate apparatus of punishment and control. 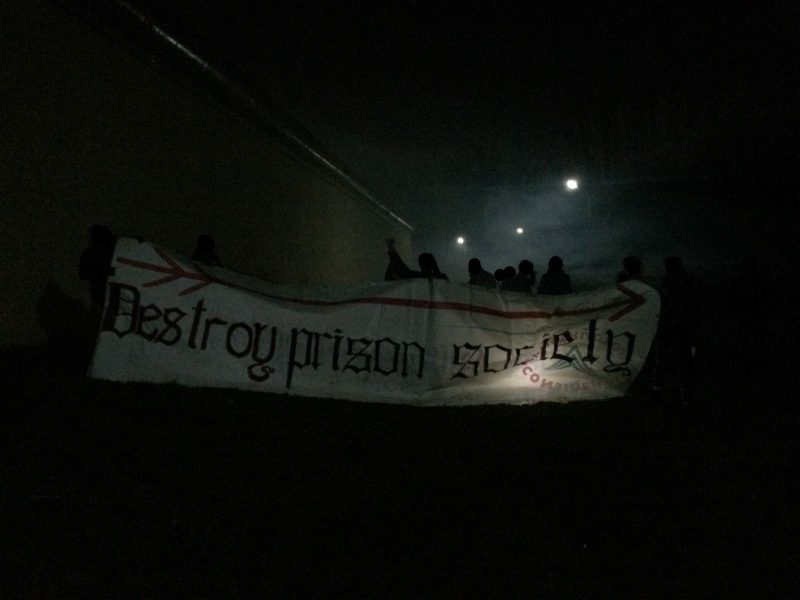 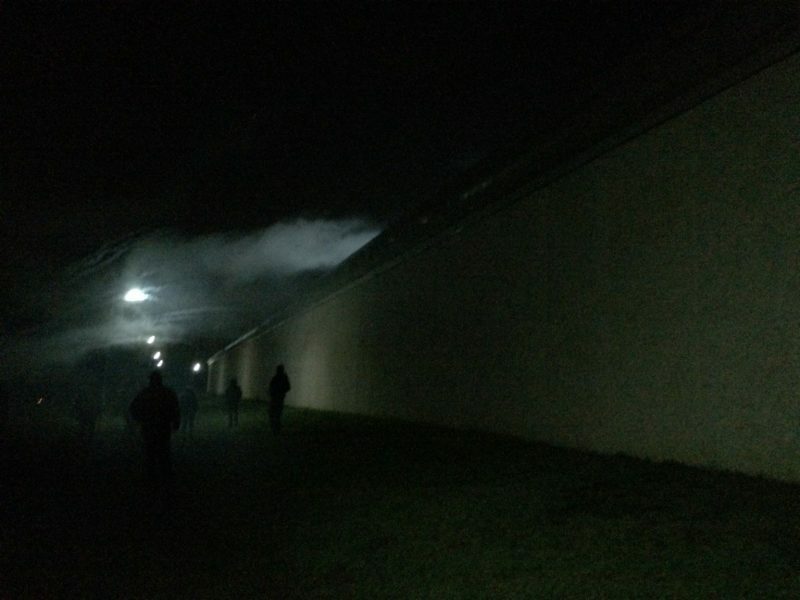 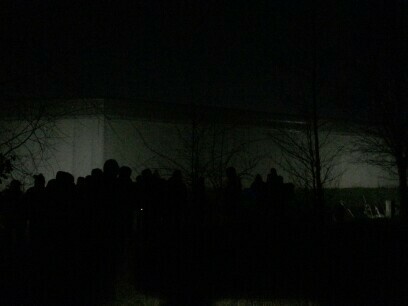 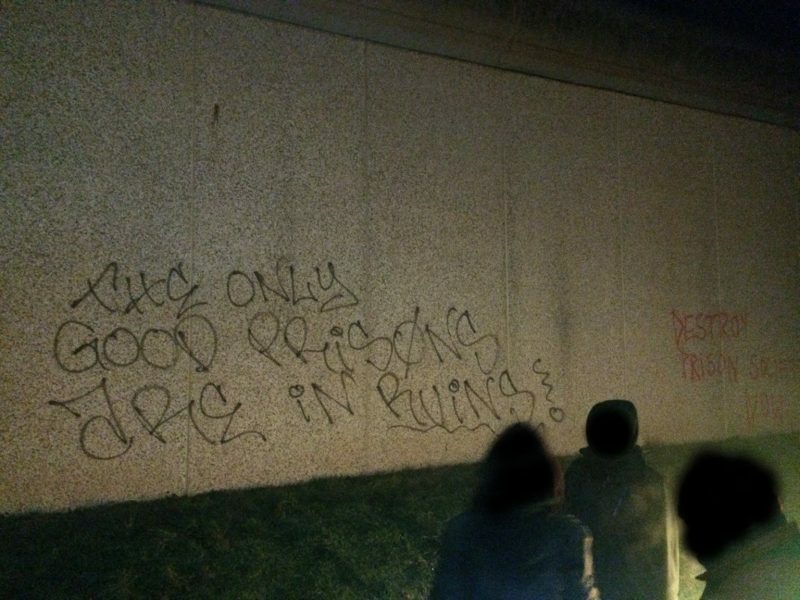 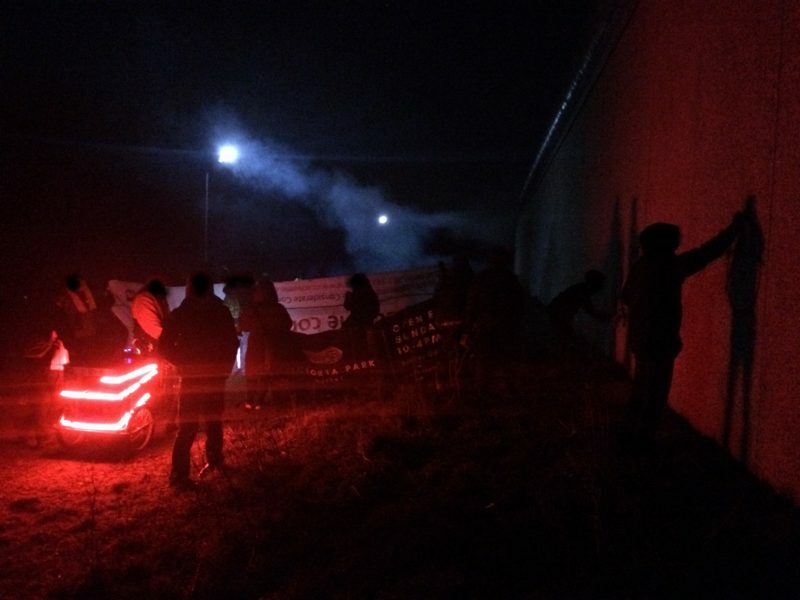 With no interruption from the pigs or screws, we unleashed our rage for hours at the walls of the prison through our banners, messages of support, fireworks and chants. 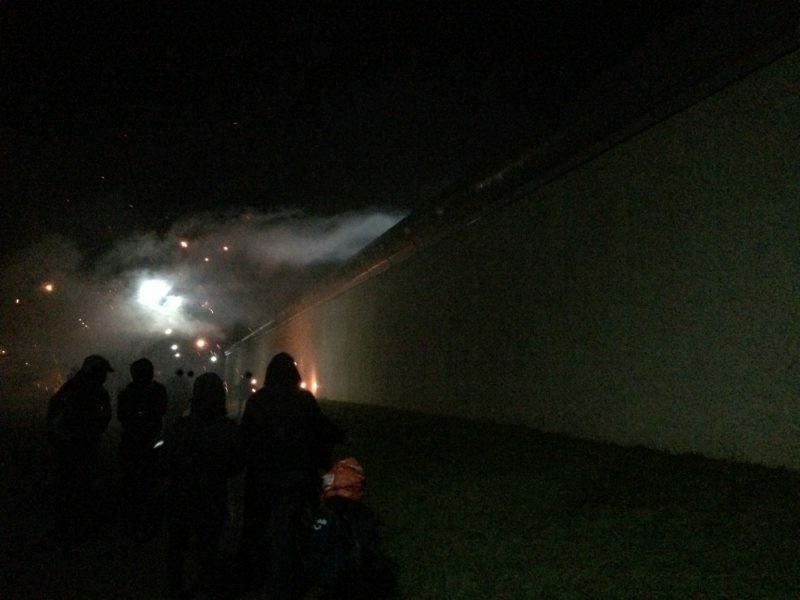 The anger and the energy shared that night made us all excited at the possibilities yet to come. 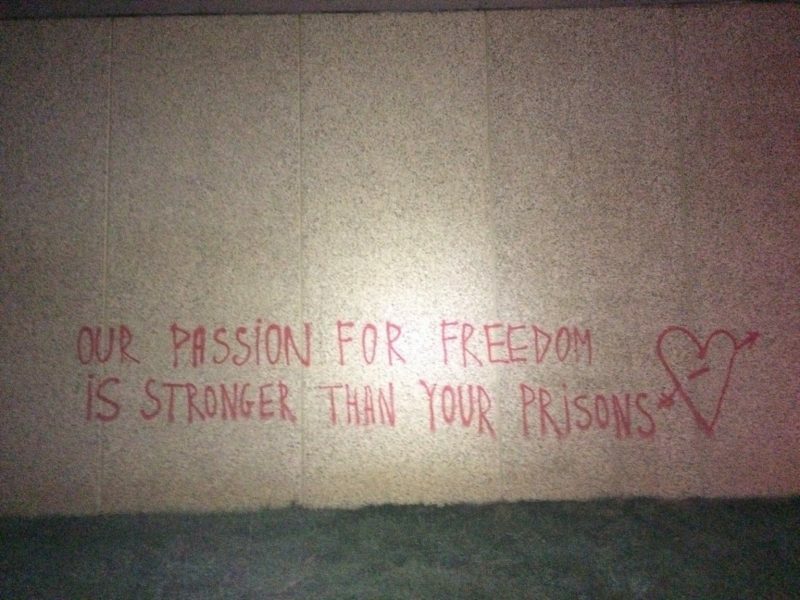 Stay updated for upcoming letter writtings nights, screenings, benefits and actions. 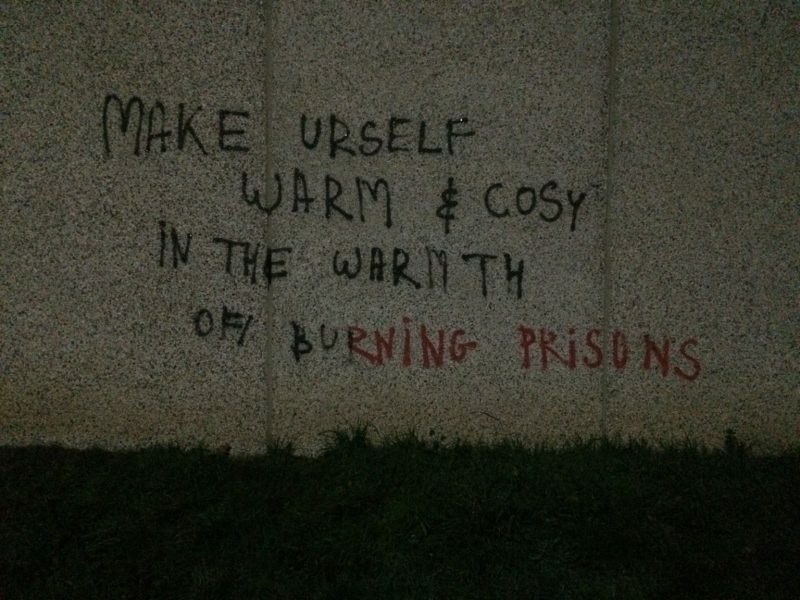 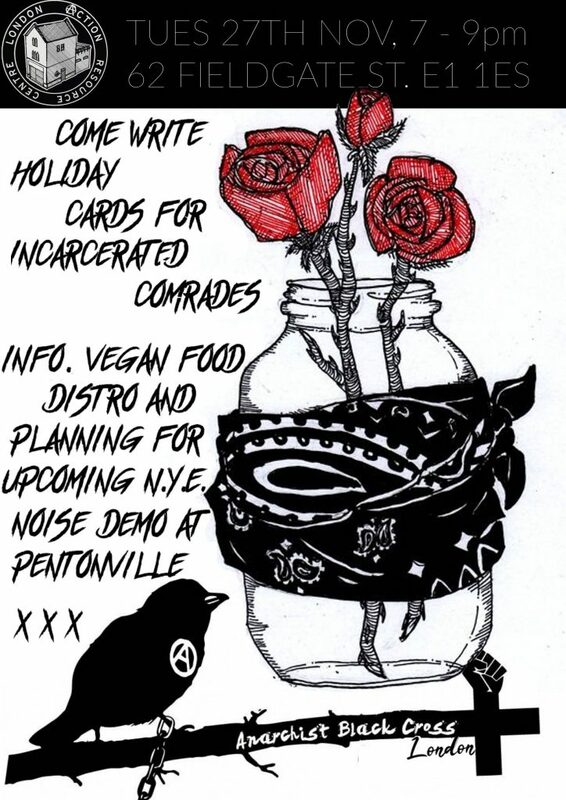 Posted in General	| Comments Off on Come Write Cards For Incarcerated Comrades! 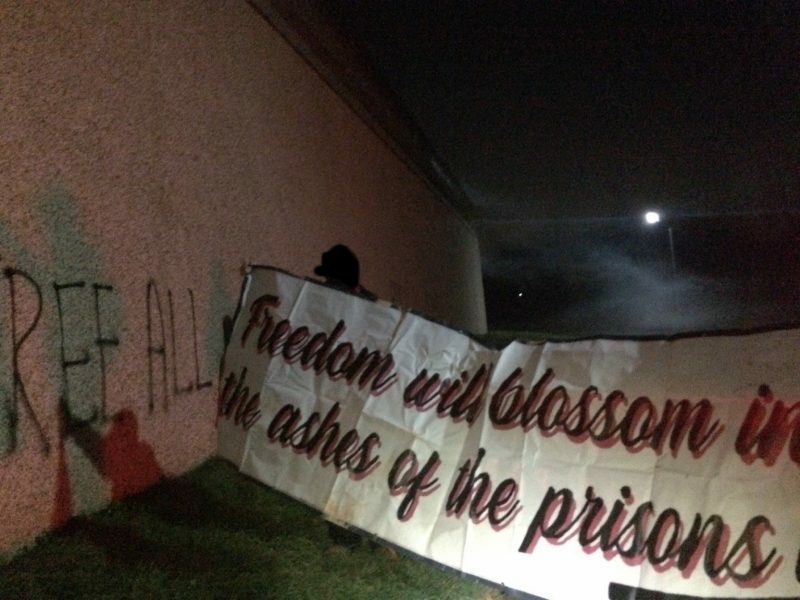 Solidarity With The US Prison Strike! 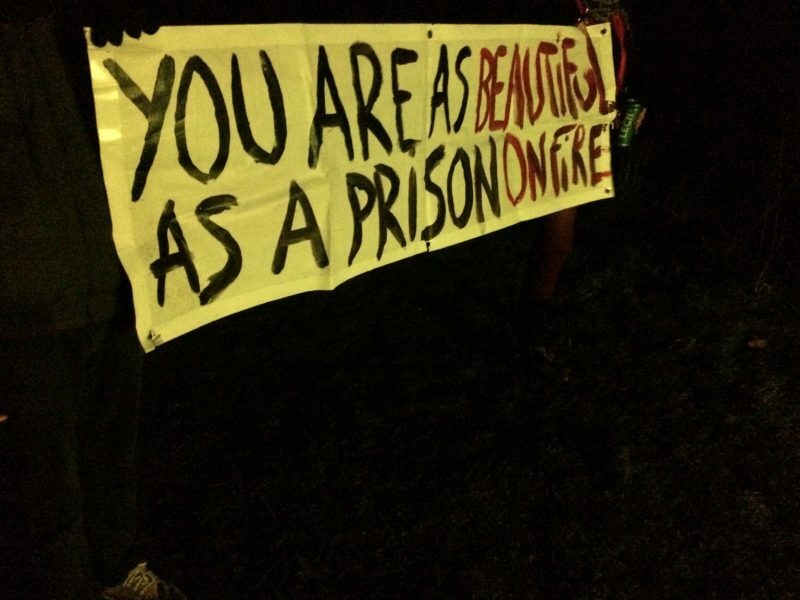 Posted in General	| Comments Off on Solidarity With The US Prison Strike! 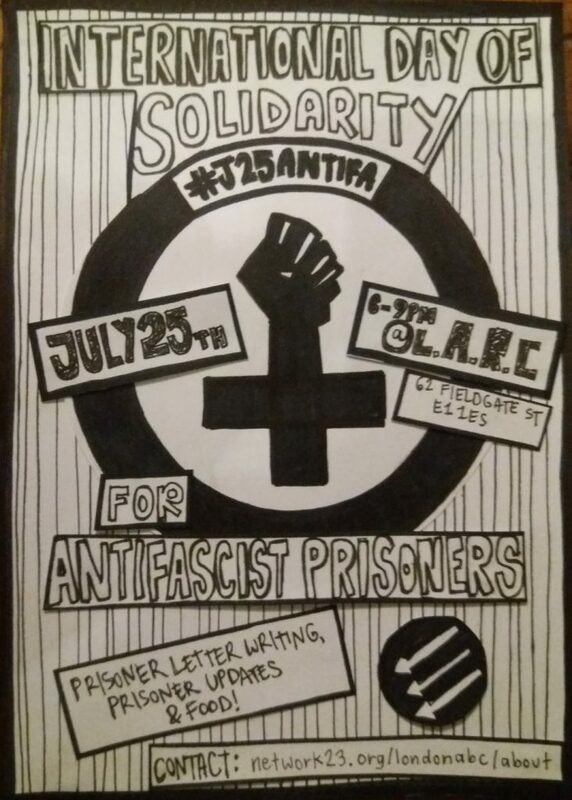 25th of July 2018, 6-9pm @ LARC, 62 Fieldgate St, Whitechapel, London, E1 1ES. To mark the 25th of July, London ABC invites all antifascists to the London Action Resource Centre (LARC) to show solidarity with our imprisoned comrades. 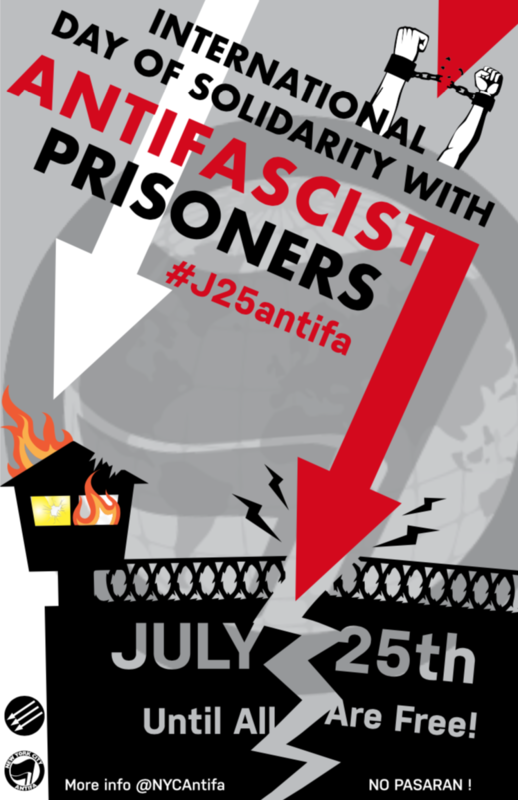 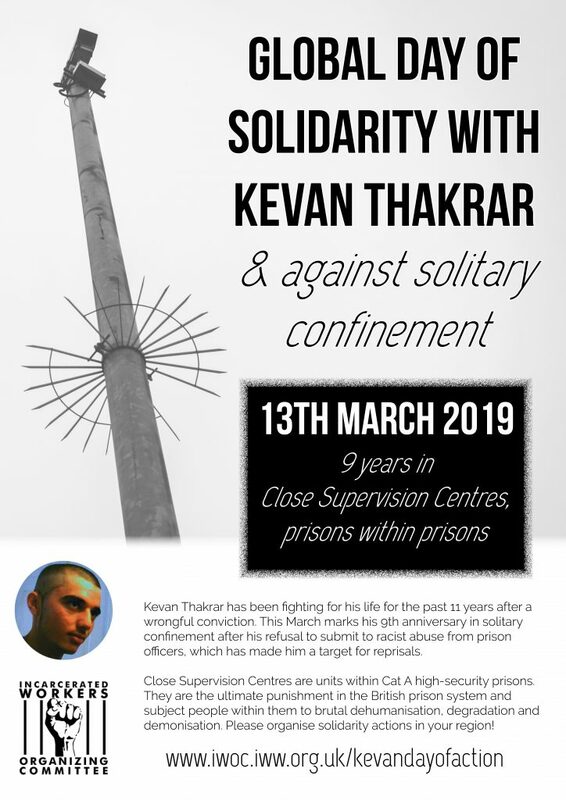 The night will include prisoner letter writing, updates about various prisoners and more generally a focus on the repression faced by those who struggle against all forms of fascism.